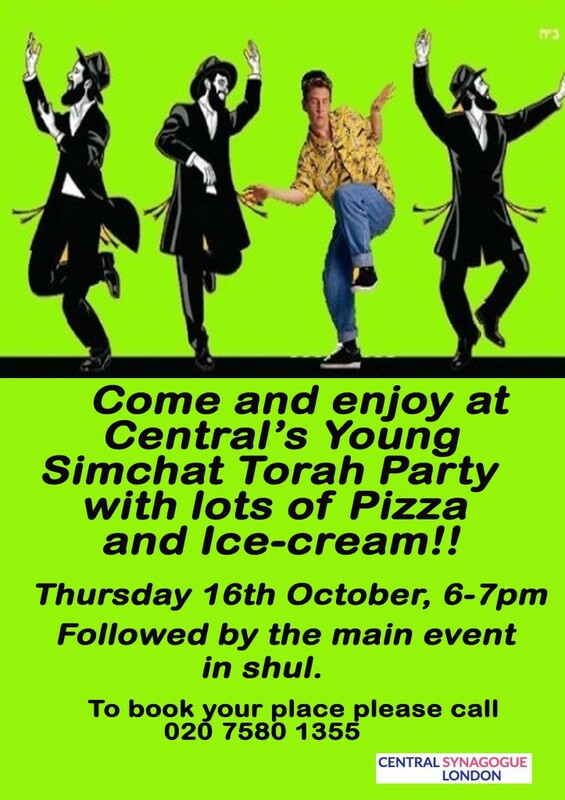 It’s Central’s Children’s Simchat Torah Party!!!!!! Come and enjoy at Central’s Young Simchat Torah Party with lots of Pizza and Ice-cream. Followed by the main event in Shul.